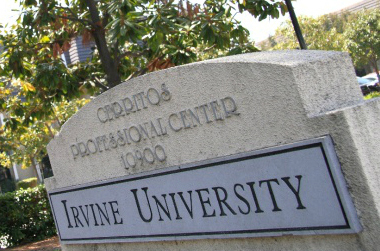 Irvine University was founded in 1973, one of the first schools in the region to establish a College of Law specifically for working adults. The College of Law has been distinguished by its high value, flexible schedule and supportive learning environment. Our graduates have gone on to practice law in both the private and corporate sectors, and pursue careers in law enforcement, government and public service. Irvine University has been lauded by prominent members of the surrounding community, including Mayor of Cerritos Carol Chen and Los Angeles County Supervisor Don Knabe. In addition, many valuable guest speakers in the community have addressed the students such as Los Angeles City Attorney Carmen Trutanich and several Superior Court Judges.